Valentine’s Day is a funny time of the year. Some people want to celebrate it like mad while others just want to treat the 14th of February like every other normal day – stay in, chill out, no need to make a fuss. If you’re in the first group, you might be getting a little nervous about what presents to buy, if you haven’t already. Well, we wanted to help get rid of those nerves with something we think you’ll very much appreciate – the best Valentine’s Day gifts for geeks! If you’ve got a geek in your life but you’re struggling to think of anything to get them, InfiniGEEK is here to provide that extra source of inspiration. Does your geek go wild for Pokémon? Let’s face it, many do – so what better gift to get your anime obsessed partner than some Pokémon underwear. 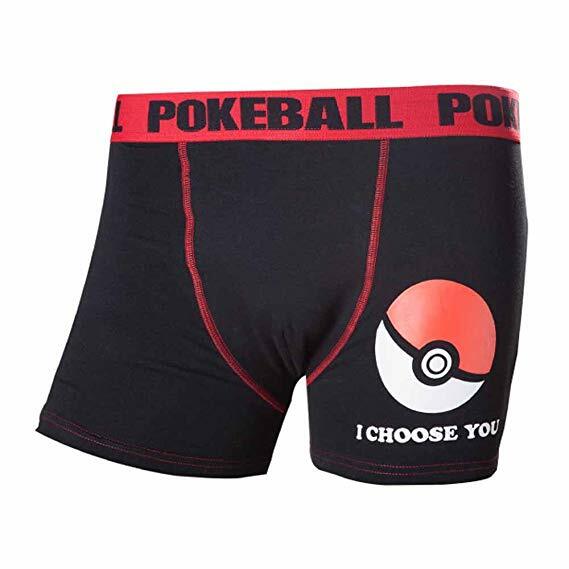 These slim fitting Pokéball boxer shorts are perfect for all situations. He can wear them when playing Pokémon Quest for mobile, enjoying some nostalgic Pokémon Yellow on the Game Boy Colour, or even when getting a bit of exercise with Pokémon Go. If you want to make sure that your Valentine’s will go off a treat, and you won’t be left unrequited (like Brock and Misty), then make sure to pick up a pair of these elastic waisted Pokémon pants. There’s no better way to say ‘I Choose You’ to the video game geek in your life this Valentine’s Day! Second in our list is a classy little number, for the more sophisticated and aged geeks around. 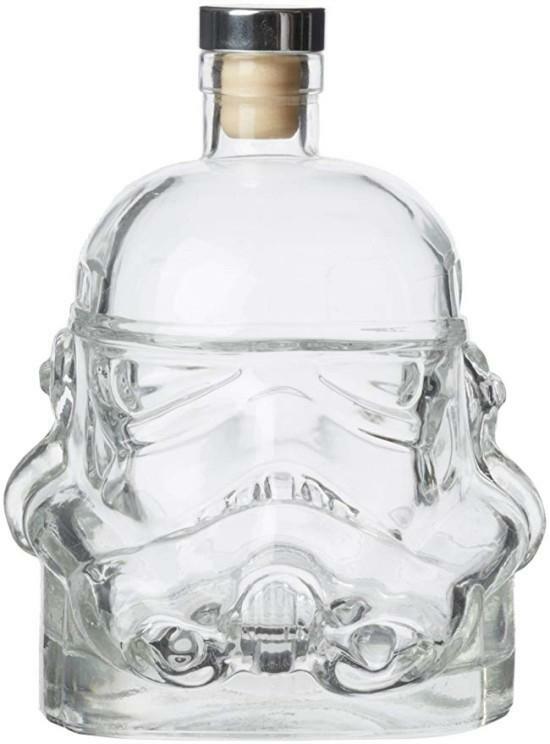 This, ladies and gentlemen, is the Stormtrooper glass decanter. After those long days on the Imperial Star Destroyer, months-long treks on Endor, watching the outposts on Tatooine, or just an evening’s play on Star Wars BattleFront II, every stormtrooper needs a strong drink at the end of the day. They can put their favourite liquor, wine, or non-alcoholic beverages in this decanter, so each time they go to pour themselves a drink they can do it in style. 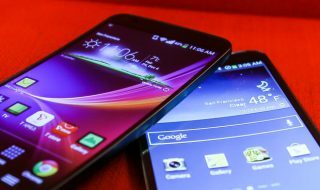 They will even be able to pull it out at dinner parties, impressing other geeks around the table. Click here to buy it now. 750ml in capacity – so will hold a full bottle of wine or whisky. Made from 100% flint glass – meaning it’s tough, durable, and will sparkle from every angle. Is lead-free – for no disappointing surprises. Third in our list is a gaming classic with a nice romantic message: The Sims Tea and Coffee Mugs. Everyone went through a stage of playing The Sims – who could forget the awesome music!? – and everyone remembers ‘rosebud’. Caption: Teach your Sims the finer points (and risks) of gambling with this slot machine from The Sims: Livin’ Large. However, aside from all that, one of the best things to do with your sim was to make them fall in love. Now, you can bring The Sims romance outside of the game thanks to this super practical Sims mug. It comes in standard, tall, and travel sizes – so you can choose the perfect fit for your other half. Say ‘A Lav Vous’ this Valentine’s with a Sims geek mug for the love in your life. 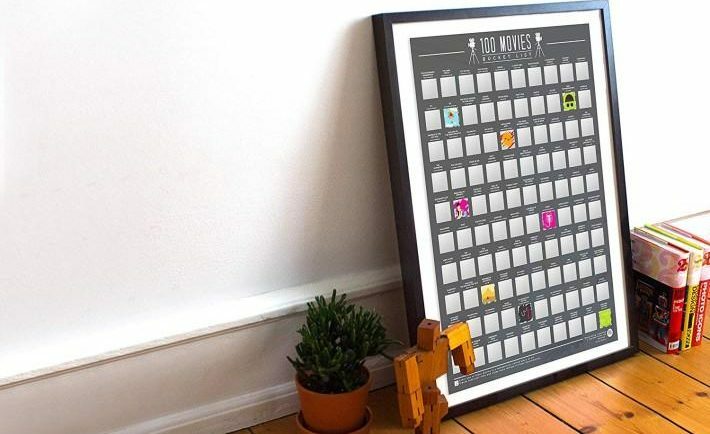 Here’s something a little different to end our best geeky gifts for Valentine’s Day – the 100 Movie Scratch Off Bucket List Poster. Not every geek is simply mad about video games, board games, card games, role-playing games and so on. Most go crazy for movies too! When it comes to collecting Video games, DVDs, BlueRays, or even VHS tapes (for the old schoolers), geeks cannot be beaten – they always have the biggest collection to show off. Therefore, the Scratch Off Bucket List Movie Poster will be right up their street – with 100 of the all-time classic films included. It’s a great Valentine’s pressie – as it gives the perfect excuse to cuddle up for plenty of movie nights – before you then scratch off the tile to reveal a powerful piece of graphic artwork underneath. 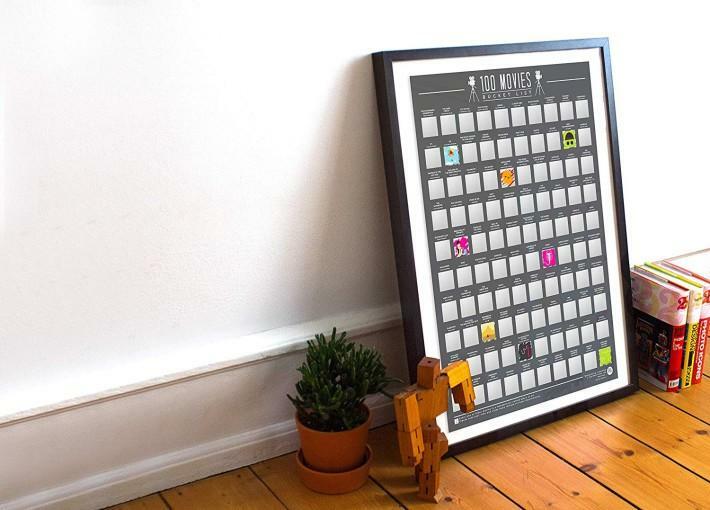 This high-concept poster is a super unique and stylish addition to your wall, which won’t look out of place with your other geeky souvenirs. It measures 42cm x 59.4cm, so will fit perfectly in most rooms in your home. What geeky gift are YOU hoping to get this Valentine’s…? 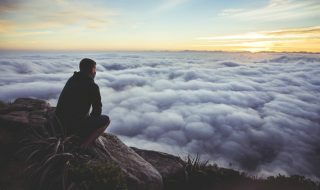 How is a career in SEO (Search Engine Optimization) beneficial for you? 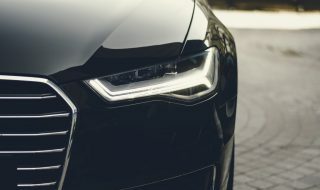 How Is Technology Changing the Car Industry?